LakeView is an amazing 20 acre oasis on Farrington Lake situated in the quaint community of East Brunswick, NJ. With a strong history and many wonderful traditions, LakeView is an amazing place your children will love to call home. A co-ed day camp that offers a very wide variety of activities including arts, sports, swimming, and adventure based classes. Be as creative as you can in cooking, ceramics and woodshop or play to your hearts content in hockey, soccer, tennis, basketball, or even gaga. Test your skills in mountain biking, ropes course, or kayaking on the lake. Then never stop learning with pioneering, archery, and Mad Science. With a total camper to staff ratio of almost 3 to 1, well trained specialists, seasoned adult leadership team, and international staff to share their cultures and experiences, your children could not be in better hands. 3-D ART CAMP Coed Entering 3rd - 6th - Motion...Action... Study the art of Alexander Calder and create three dimensional artwork using clay, wood, paper, stone and wire. 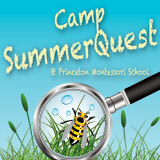 Campers will do hands-on art projects, building skills and using creative thinking. Projects will include making gargoyles, stabiles, mobiles, wire animals and sea creatures. GO GREEK! ART CAMP Coed Entering 3rd - 6th - Discover what life was like thousands of years ago for children just like you in Greece. You'll make the kind of clothes they wore, write using their alphabet, make a hydria out of clay, learn about Greek mythology and celebrate a holiday in honor of the birthday of Athena with a festival called the Panathenaic Games. SOMETHING CONSTRUCTIVE ART CAMP Coed Entering K- 2nd - Something Constructive engages children in making three-dimensional artwork. They will use wire, found objects, plaster, gauze, and paper mache to build masterpieces. The Princeton Friends School Summer Art-06 is opened to students in 1st-8th grade. Weekly sessions run from June 13-30. 8:30-12:00 is the fine art session. (drawing, design, sculpturing, clay, pottery wheel, painting, collage, mixed media, etc.) 1:00-4:00 is the craft session. (basket weaving, puppets, jewelry, etc.) Snack is provided. Full day artists should bring lunch. On Rider University - Lawrenceville Campus NOTE: This is a non-residential camp, only. For course descriptions and faculty information, visit or call: www.rider.edu/summerarts 609-924-7416 Visit our website for details on our Summer Programs for Educators, College Students & Adults, too!